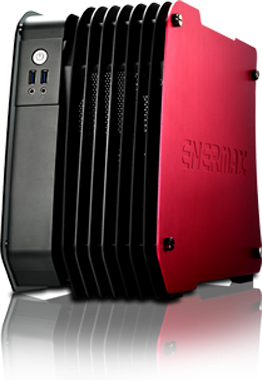 This premium m-ATX case is specially created for you by Enermax. Every single piece is the outcome of extensive handcraft. Put together for you out of sandblasted aluminium and tempered glass. Despite its compact chassis you can install liquid cooling solutions and high end graphics cards for a powerful gaming machine. The frameless side window gives an open view to your hardware. With the limited edition of STEELWING you already hold a collector’s item in hands today. The entire body is put together from solid aluminium for an elegant design and perfect cooling performance. The dark tinted side panel is made out of 3mm thick tempered glass. The frameless design guarantees a free view on your stylish hardware. The semi-open design with seven stacked aluminium plates lets the air pass through the case easily to cool down the hardware. Two USB 3.0 ports, with up to 5 Gbit/s data transfer rate, in the front ensure easy connection of external HDDs and peripherals. STEELWING supports high-end mainboards with micro-ATX and mini-ITX form factors. 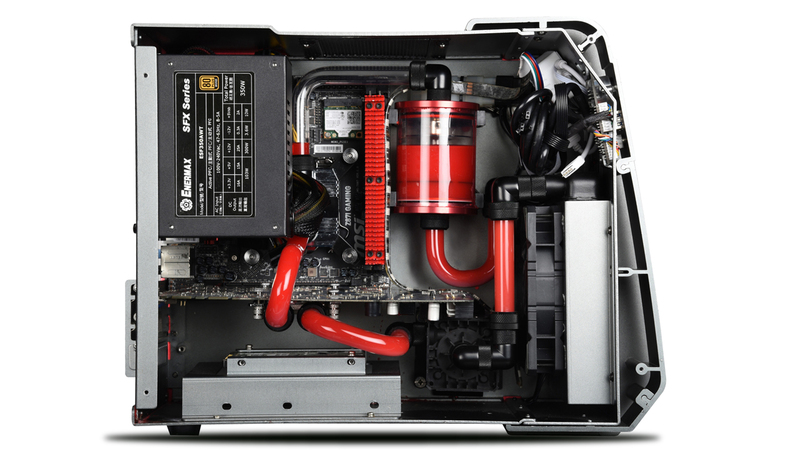 Supports coolers with 120mm radiator in the front for best cooling performance within limited space. To cool powerful graphics cards inverting the airflow from inside to outside can help to increase the cooling performance. 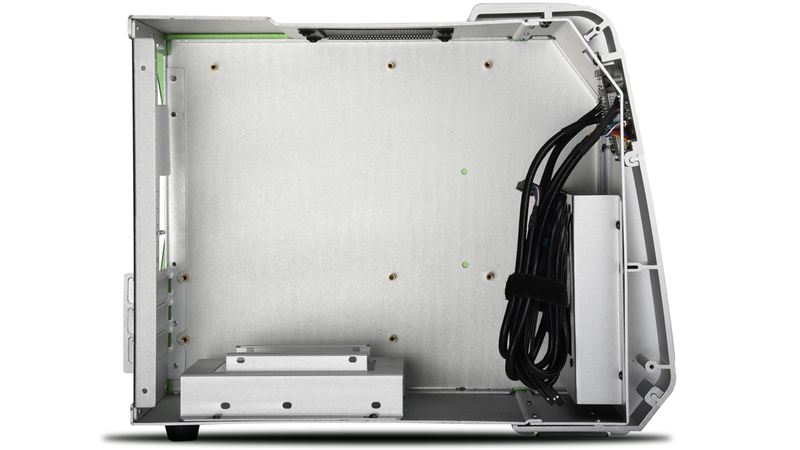 Meshed panels ensure a good air flow throughout the case and provide optimised system cooling. The case accommodates up to three data storage devices (1x 2.5”, 2x 3.5” HDD/SSD) and allows a flexible management of large data. One 2.5″ and one 3,5″ data storage device can be mounted on the bottom HDD cage, one more 3.5″ devices can be stored behind the front fan. Enough space for high-end graphics cards with up to 290mm length. The case supports CPU coolers up to 80mm in height. Upgrade your system by using suitable Enermax Revolution SFX power supply and advanced liquid cooler Liqmax II 120 to get the best performing and space-saving products for micro-ATX or mini-ITX gaming rigs.